It's funny how classic directors can ebb and flow into the national conversation. I feel like I've heard Andrei Tarkovsky's name more in 2018 than in many recent years. Some years everyone thinks everything is "Hitchockian" or "Kubrickian." Perhaps Film Twitter is expanding its auteur vocabulary because I've seen several recent films, including "Annihilation" and "High Life," compared to Tarkovsky's work. 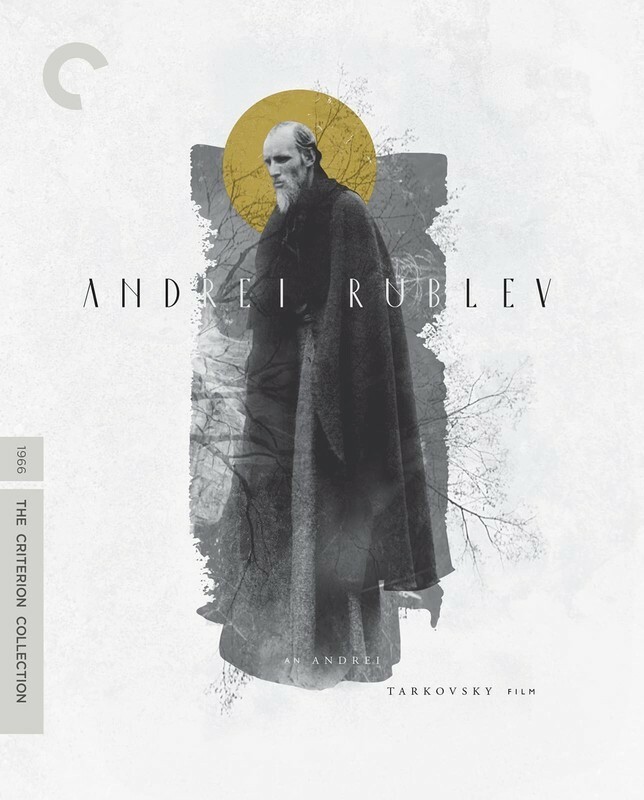 Did Criterion somehow know this was going to happen, thereby timing their HD upgrade of his epic "Andrei Rublev" for late September? Probably not, but you never know. As for the release, it's a beauty, including both versions of the film, a few documentaries, and new interviews. Some of the Criterion upgrades are merely that (imports of special features with an HD transfer) but this is more like a brand new release. After all, Andrei Tarkovsky has never been hotter. Debra Granik's first film since "Winter's Bone" remains one of my favorites of 2018 and loses none of its remarkable power on second viewing at home. It's just as phenomenal as I remember when I saw it at Sundance. This is a gentle, truthful tale about a father and daughter growing apart, a division deepened by his severe PTSD. 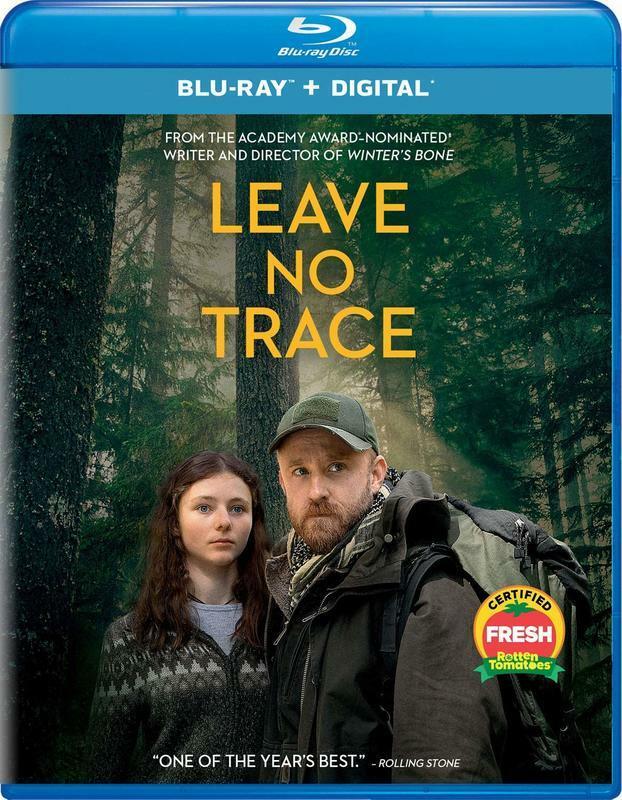 Thomasin Harcourt McKenzie gives one of the most genuine performances of the year, and Ben Foster nearly matches, finding a more subtle register than the one for which he's most well-known. This is a beautiful movie, one that I hope everyone gets a chance to see. Academy Award nominee Cornel Wilde stars in this adventure film, which he also directed and produced, reportedly based on the life of John Colter, an explorer chased by Blackfoot warriors in Wyoming. The script for "Naked Prey" was Oscar-nominated but if you're thinking this is a relatively obscure choice for Criterion, especially when compared to the other two films in this column, you're not wrong. The company often includes at least one film a month that you probably haven't heard of or at least haven't seen in a very long time, to go with it's more widely-acknowledged collection of classics. Such is the case with "Naked Prey," a film that reportedly earned mixed reviews on its release but is now considered influential both in its focus and brutality. Roger himself was not a fan. When Lorraine Hansberry wrote A Raisin in the Sun in the '50s, do you think she had any idea it would become a staple of American theater, and regularly adapted for film and television? 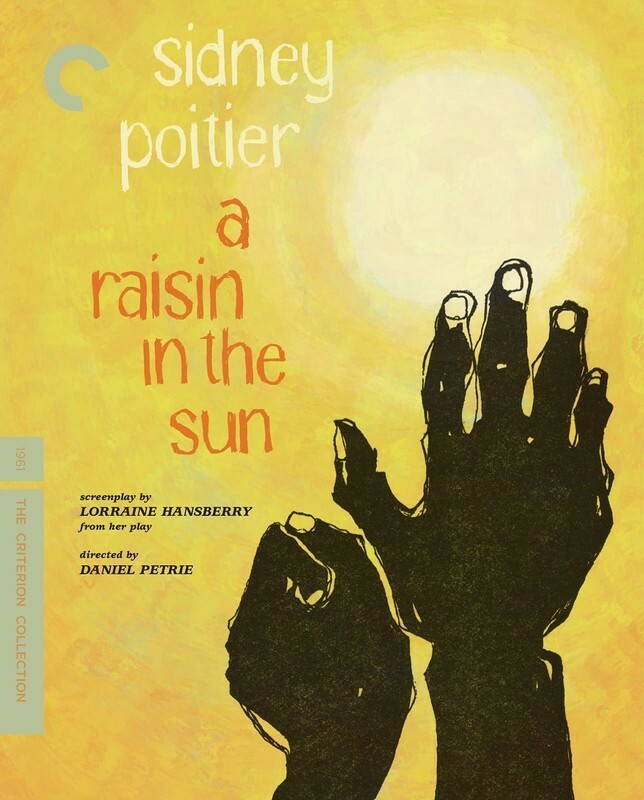 The play has really stood the test of time, and it's still produced in near-constant rotation around the country, but Criterion has gone with the original, and still-best, film production of it, starring Sidney Poitier, Ruby Dee, Claudia McNeil, Diana Sands, and Louis Gossett Jr. Regular readers of this column know that I'm always curious about the timing of Criterion releases. So why "Raisin" now? Well, it's clear that the themes of the play still resonate today, and perhaps the company is responding to criticism that their collection is largely full of white filmmakers telling white stories. Whatever the reason, "A Raisin in the Sun" remains essential to the story of American theatre in the '50s and '60s and this is a great way to bring this seminal work to a wider audience. If you ask a certain sector of the movie-going public, they'll tell you that "Solo: A Star Wars Story" was a massive bomb. They'll claim that negative feelings about "Star Wars: The Last Jedi" caused a backlash against "Solo" and the box office reflected that, leading to the lowest-grossing "Star Wars" film of the modern era (and that includes the prequels). The truth is that "Solo" likely wasn't as impacted by "TLJ" as it was over-saturation. There was a time when a "Star Wars" movie was an event, which is inherently more difficult when one is practically still playing in theaters as a new one comes out. There's also the fact that, sorry, "Solo" isn't very good. One can see the struggle behind the scenes that led to Ron Howard being brought in to helm the pic, and the result is a film that's only sporadically entertaining (and horribly under-lit). 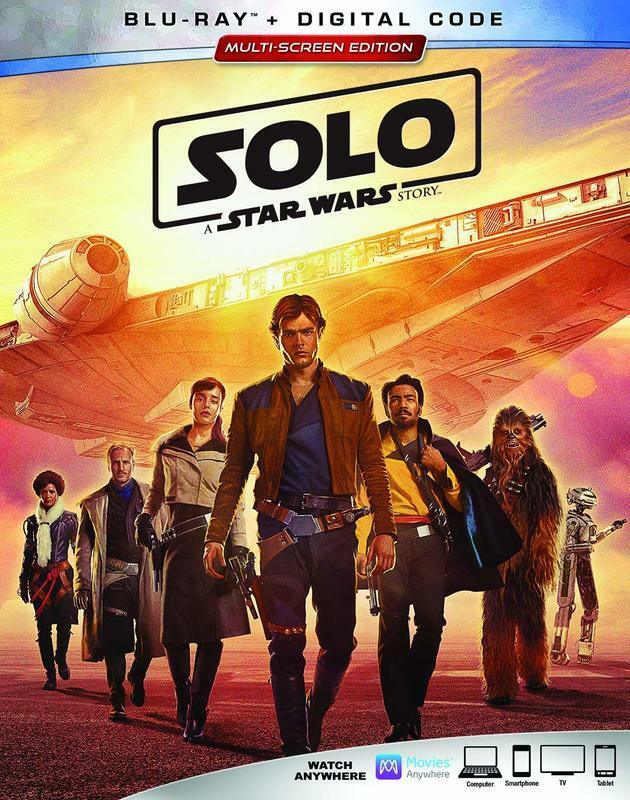 The Blu-ray is solid, as they often are for "Star Wars" films, but I think the lesson to take from "Solo" is that any universe loses its luster if we visit it too often and the best thing this franchise could do after "Episode IX" would be to go away for a little while. Absence makes the Wookie heart grow fonder. 2018 has been an amazing year for documentaries. Films like "RBG," "Won't You Be My Neighbor?," and now "Free Solo" have become surprising arthouse hits, finding devoted fans. I'm hoping that the trend brings people to one of the best docs of the year, a hit at Sundance and the Chicago Critics Film Festival earlier this year, "Three Identical Strangers." This is one of those WTF documentaries that keeps unfolding new secrets and revelations as it progresses. Without spoiling anything, the craziest part of this story is not what you think it is. It's not merely that three identical triplets found each other after years apart. There's more to this tale than any writer could possibly devise. Check it out and see for yourself. The MCU may be thriving but the "X-Men" franchise is in a weird phase. The "Dark Phoenix" trailer dropped last week only for the movie's release date to then be pushed back. People just don't seem as excited about "X-Men" as they used to be, but that shouldn't stop superhero fans from going back to the beginning, Bryan Singer's wildly influential first film about Wolverine, Storm, Magneto, and company. Christopher Nolan gets a lot of credit for influencing where the market is now, but Sam Raimi and Bryan Singer deserve just as much, if not more, for creating the templates for the modern superhero movie. The first two films in this trilogy are phenomenal, and they hold up beautifully in these new 4K editions. The third film? It was horrible then and it's horrible now, another film that can be used as a template for what NOT to do in the superhero genre.